This great kid glove is perfect for skiing and snowboarding suitable. He has all the properties that need a glove. A mitten keeps the hands not only from cold, but stores the heat for a longer time. The palm is made from soft PU material (Polyurethan) and is very elastic. The cord on the wrist prevents snow and water from entering, for easy on and off and provides a secure grip, so the gloves can not be lost! The water resistance is caused by a waterproof coating of the glove. 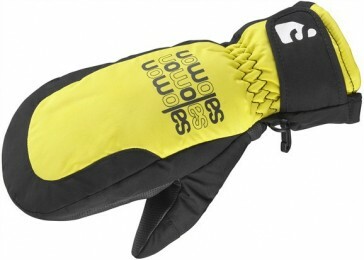 The materials were processed in the glove, all are treated to make them waterproof while skiing. The isolation of the mitten called Actiloft (TM) and offers exactly the right amount of insulation and provides optimum heat. On a Velcro wrist is appropriate even in the snow provides an efficient closure system. It adapts to the wrist and is very easy to use.